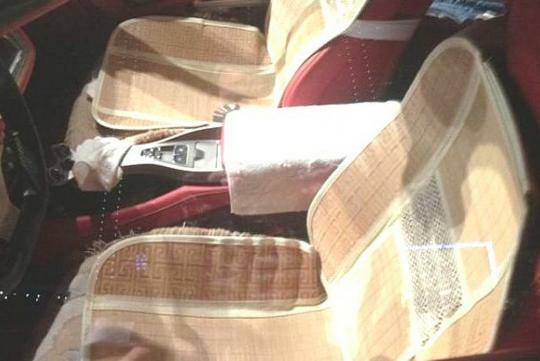 The above picture, courtesy of carnewschina.com, shows an interior of a Ferrari California with the seats covered with two layers of protectors. Interestingly, when most owners prefer to feel the exquisite leather of the Prancing Horse, this owner appears to be overly protective of his precious supercar. Making things worse is a towel placed on top of the arm rest at the central tunnel. The photo is apparently taken at city of Ningbo in Zhejiang Province, China. No doubt, the owner probably wants to protect the leather surface from stains and blemishes. But in the process of doing so, the classy feel of the interior is compromised. Probably signing up for a routine leather grooming package would be a better idea. 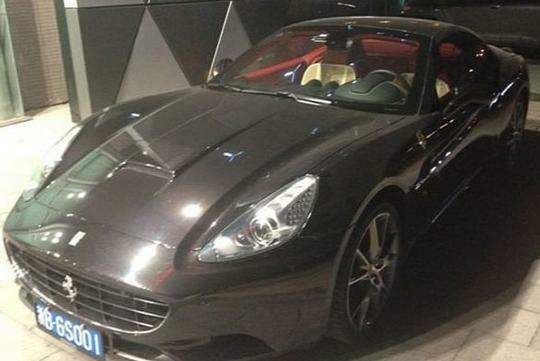 The cost should be peanuts compared to the price paid for the car, which is 3.48 million yuan (S$682,000). 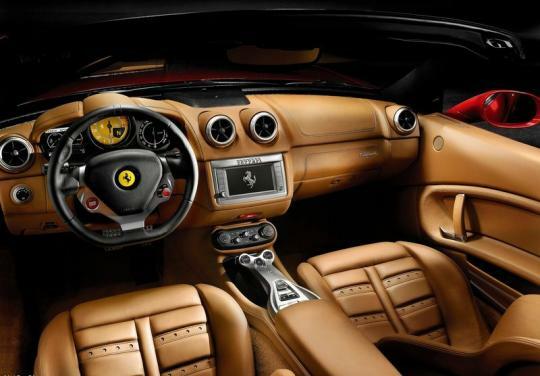 Below is the interior of the Ferrari California in its virgin, luxurious state. What happened to these super cars? Nothing new. Its a common practice in China. @kspchew: oh, so it's usual for them to do that? that's weird, why buy a car with such leather and then not to feel it? Same thing happening to their brand new iPhones and iPads.... must put screen protector lah, cover lah, all sorts of nonsense, make the screen so blur and unresponsive and the case so bulky until cannot enjoy it anymore. The iPhone/iPad in its original state is damn nice to use lor. I had a friend whose father was some wealthy medium sized company boss. Long time ago his father bought a brand new Camry for his mother, one month old liao the plastic wrapping still on the headrests and the seats. I was quite confused... how come got people like that one har? Plastic wrapping feels shiok meh? I got one friend, stay in an old condo, never renovated before in 20 years. Then when he bought another condo, a new one, and was prepared to move into the new one and rent out old one, suddenly went to spend $100k renovating the old condo JUST TO RENT OUT. You say stupid or not har? Last time when i was young at my grandmother's house, her sofa all got headrest cloth and backside cover one..... I felt it was damn irritating lor... always took it off hahaha! I think last time they were afraid of people with smelly backside and dirty hair with lice sitting in their precious sofa. Wah lau! When I was young, I had friends who ate all the rice first then eat the meat later, basically save the best for last. That is, if I didn't steal the meat from them first before they touched it! Haha! I thought that was really dumb. Good things must whack first before others get a chance to enjoy it at your expense. maybe cover to protect from the sunlight?